I’ve lived in a rural area for most of my childhood life. One thing I can say about that is how quiet and peaceful it was. It’s an entirely different story now that I live in a suburban neighborhood. I can now hear everything that is going on around me for the most part. This article will focus on how to reduce noise in your backyard and try your best to soundproof a backyard. Of course, you can’t “soundproof” a backyard. You can, however, certainly do many different things to reduce the noise coming from the other side of the fence, that is if you have one. Having a fence would undoubtedly be the place to start because if you don’t have a fence, you’re fighting a lost cause. How to Build a Soundproof Fence? What Type Of White Noise Can Help To Reduce Traffic Noise In A Backyard? The first step in your endeavor to reduce the noise coming into your backyard would be to install a fence. I’ve been researching all over the internet to find out what would be the best home fence to install for noise abatement. The first step is choosing the right material to make the fence useful for noise reduction. You need first to identify what type of noise is coming into your yard and where it is coming from. Options for the fence would include cedar or redwood. You can also use steel sheeting, straw bales and rammed earth. But these are the materials that are less popular in densely populated residential areas. You should not cut corners when it comes to the cost of a fence. The reason for that is because you will probably end up paying more money to fix the fence when it becomes useless for sound reduction. Be wary of material that is primarily intended for indoor use. Make sure to ask questions about how durable the material is to weather. Climate factors like extreme heat and sun can in time degrade the material and impede its sound protection quality. Another factor when it comes to a soundproof fence is the hight of the fence itself. As I was researching, I found out from Noisehelp that a fence should be between twelve and fifteen feet high to block sound effectively. The rule of thumb here is the taller the fence, the more sound reduction you will achieve. I know that a fifteen-foot fence might be challenging to maintain and could also be an eyesore but when explicitly speaking of noise reduction, the taller, the better. Make sure the bylaws in your area allow for a tall fence. I know for a fact that not every city or municipality would allow for such a project. 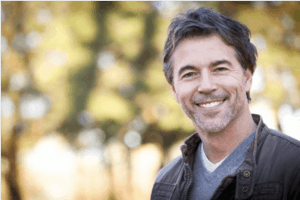 Make a note of any irregularities with the terrain before either building a fence or hiring someone to build it for you. Make sure the ground is level. Fill in the spots that might dip because the worst thing you can do regarding noise reduction in fencing is leaving gaps between the ground and the bottom of the fence. Your landscape will probably not be one hundred percent level so make sure to have this fixed before installing the soundproof fence. It is best to avoid this error because fixing this problem will be more costly once the fence is complete. Once the fence is in place, make sure to inspect it on a regular base for gaps and holes. Many things can cause these gaps but small animals primarily the cause them. Don’t allow animals to use your fence as a shortcut because you’ll soon notice the soundproofing effectiveness diminish over time. The video below shows an installation of a noise reducing fence specifically made for noise reduction. This is another option you could look into from a local dealer. If you already have an existing fence and you don’t want to tear it down to install a soundproof fence, then you do have a few options. The first option I would mention would be to install noise reduction paneling on the existing fence to make it more noise resistant. Every little bit will help, just as long as there are no gaps in the fence to let the noise through. It’s a lost cause for soundproofing if there are gaps, so it should be the first thing you’ll want to fix before installing road noise reduction paneling. The acoustical solution makes weather resistant outdoor noise reduction blankets to install on an existing fence. The blankets can also be useful in blocking the noise of individual appliances like an HVAC unite and pool pump. These types of exterior grade absorber-barrier blankets are made in combination with a sound blanket that has a barrier backing, and an absorptive face to provide sound absorption as well as effectively block sound. Like it was mentioned above, the higher the fence, the better it will be to reduce the amount of noise coming into the backyard. The video below talks about soundproof outdoor blankets. You can also install a residential acoustic fence to help block the noise coming from the road. This type of acoustic fence is made from pressure treated timber panels that are mounted to either steel posts or pressure treated timber posts. This type of material will significantly improve the lifespan of the fence. Check out JPK Fencing Systems for all the information on this type of fencing and see if it is right for you and your budget. Plants and shrubs can also be used to reduce the sound leaching into your backyard from the road. This type of backyard noise reduction is undoubtedly the most visually appealing. All parts of the plants will absorb the noise, but some plants work much better than others. Some experts say that the best species of plants regarding noise reduction are species with many branches and thick leaves with thin petioles (leaf stems). Of course, plants will lose their effectiveness in the winter months as they lose their leaves. At least they will be nice and thick in the warmer months when you’re most likely to have your windows open. In warmer climates, however, these broadleaf evergreens can provide you with some sound absorption benefits for the entire year. Organize the plants in a way that it resembles a hedge. You would need to space them, so there are no gaps that form to let the noise inside your backyard. Shrubs and Trees as a Noise Barrier Evergreen shrubs make the best plants for noise reduction because they will provide you with year-round effectiveness. The broader the leaves are, the more effective they will be to reduce noise. One way to achieve this type of backyard noise reduction is by building a berm in the landscape and planting your trees or shrubs on top. Click this link from gardeningknowhow.com for a better explanation than I could give you! This website is an excellent resource for things you would want to build for your backyard. I might as well leave the explaining to the experts in this field. You would not need substantial speakers in your backyard to play a steady stream of white noise to be able to counter the racket you’re trying to hear no longer. Most noises that people complain about the most regarding a backyard is the sound of traffic. The sound of water could be useful in hiding reasonably loud traffic noise; not just that but the noise of running water or a stream could be so relaxing and soothing. Creating a flow or putting a fountain similar to this in your garden may produce something like the white noise in similar frequencies into those the traffic is causing. The closeness of this noise is vital in cases like a backyard soundproofing. Well, these white noise contraptions will be a lot nearer to you than the traffic is, and thus they’d overtake the sound from the traffic you’re hearing. It would be best if you were able to combine this technique with a different one, like a wall or any green leafs and bushed. I saw this question pop up on Quora a few times, and I was interested to know if there was a type of backyard noise reduction speakers you could buy. As I was searching on Google and Amazon, I did notice that a lot of people were talking about it, but there were no speakers to be found. The only speakers I could find that had the words “Noise Cancelling” in them were speakers made explicitly for CB radios. Some people did use these types of noise reduction speakers to reduce noise, but it was for tiny sitting areas. This would indeed not work for an entire backyard. If I’m wrong, please leave me a comment below so you can educate me. If there is such a thing as noise reduction speakers, I would be interested in trying it out for myself. Click the link for more information on “noise canceling” from an article on enoisecontrol.com. This article explains exactly how noise canceling technology works and the possibility of building a noise canceling set up for yourself. 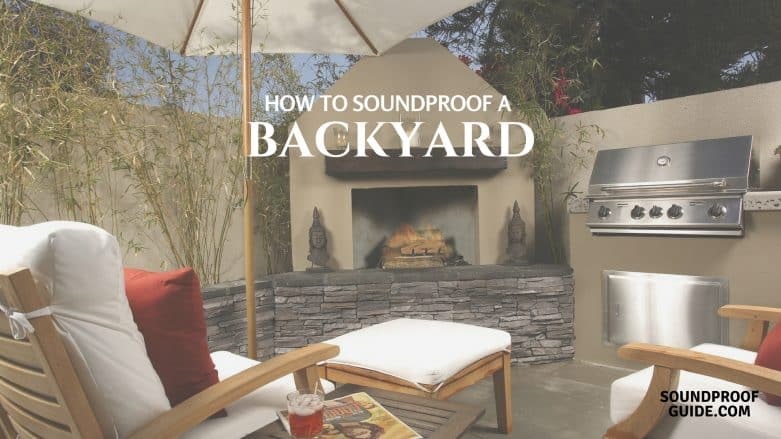 I hope you found this “how to soundproof a backyard” article as informative as I did from researching the subject. I did learn that it indeed is not an easy task to reduce noise in your backyard. The most sound you want to cut will relate to how much money, and an eyesore you’re willing to endure. Leave me a comment if you have anything to add or if you disagree with something said in this article.